Cocker spaniels are happy, loving dogs. Cocker spaniels are happy-go-lucky dogs that love their owners unconditionally. They are also exceptionally sensitive dogs that can have their hearts broken easily. When you adopt an adult cocker spaniel, his background and personal history will determine how you should care for him. Find out the history of the dog. If he was abandoned, he might be sad or depressed and need some time to adjust to a new household. An abandoned cocker also needs time to learn to trust new people; he might be afraid to "fall in love" with you just in case you decide to abandon him again. Be especially loving and reassuring with the dog and you'll soon gain a loyal friend. Cocker spaniels thrive in human companionship, so you should keep them only as indoor pets. Get the dog a complete medical checkup if he hasn't had any recently. If you can, get a copy of his medical records to see what his health was like when he was a puppy. 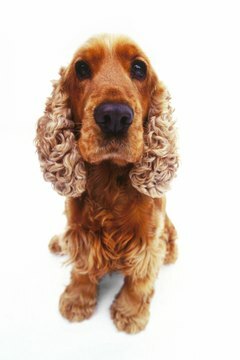 Cockers are healthy breeds in general, but they can suffer from vision problems, including cataracts and glaucoma. Liver disease, gastric issues and elbow dysplasia are less common but also seen in the breed. Catching these issues early on means you'll be able to treat them and prevent further complications. Retrain your dog to fit your domestic lifestyle as soon as he moves in. Cocker spaniels are highly intelligent dogs and they can easily be trained, even as adults. They are also working dogs that thrive in having a job to do, so spending time in training a few times a week after their basic training has ended is good for them. Clean the dog's ears regularly. 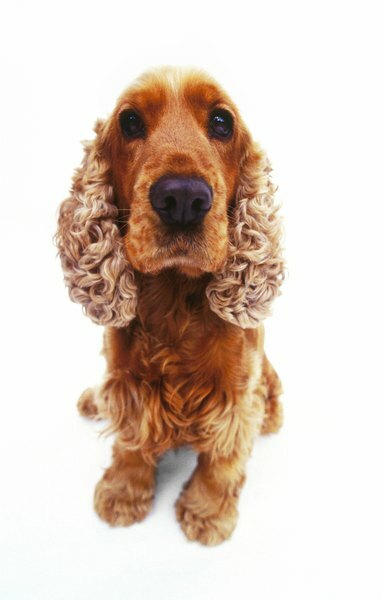 Cocker spaniels are prone to ear infections and other problems. This is because moisture traps easily inside the cocker's long ears, making them an ideal breeding ground for bacteria. Always use ear cleaning solution from the vet's office to clean the ears. Water and alcohol are not acceptable substitutes. Cocker spaniels need regular grooming to prevent matting of the hair. However, cockers that never got used to being groomed from puppyhood can be difficult to deal with. If you don't know the history of the animal, start by brushing his coat several times a week and see how he reacts.